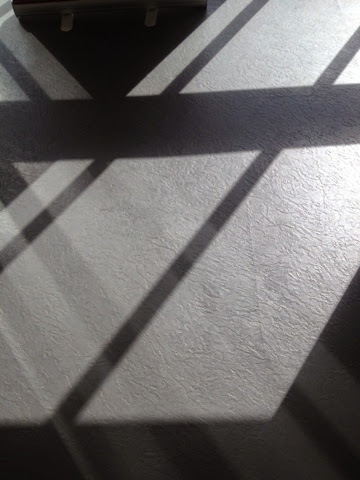 Some shadows I noticed at work one day. The days and weeks just seem to slip by. We’ve been in a haze of illness (short lived but nasty and the horrible wondering of who might succumb next...) (the ABO), leaving nursery excitement (BigR), learning to jump and fearlessly bump downstairs (no stair gate can hold her back) (LittleR) and coping with all of these things (me). Here are (some of the things) that are my happies since the last time I posted. Joining in with Gillian. 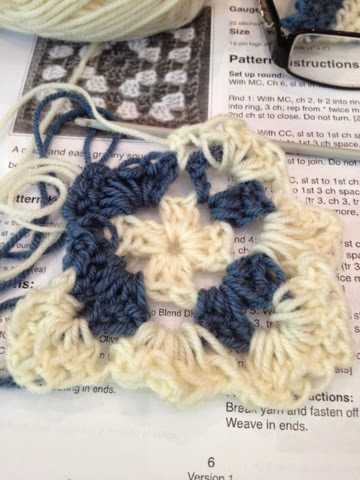 I had a fab day with my friend on the ‘learn to crochet’ workshop. Not only did we put the world to rights and have a very tasty lunch (even with many gluten free options for my friend) I even learnt a new skill. OK...it’s a bit ‘loose’ and ‘rustic’ but coming along. Hopefully I’ll get the hang of tension!!! I‘m a loooooooooong way off the skill level of many fellow bloggers, but you never know one day I might improve enough to be half as good as them. Practice makes perfect. If I’m able to find the time to practice. It’s a priority for me to make time to do this. 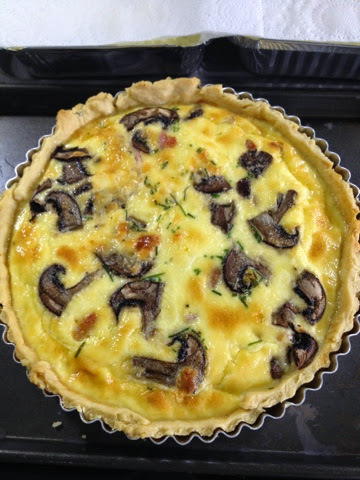 :: Actually making a quiche. I followed this recipe from Sue at the Quince Tree’s blog. I even made the pastry. It was quite simple (in the end) and very delicious. I’ll certainly be doing that again. I’ve been trying to cook a bit more so we have some freezer options. The other weekend I made a shepherd’s pie and put two in the freezer as homemade ready meals. Next up some dinners for the girls. 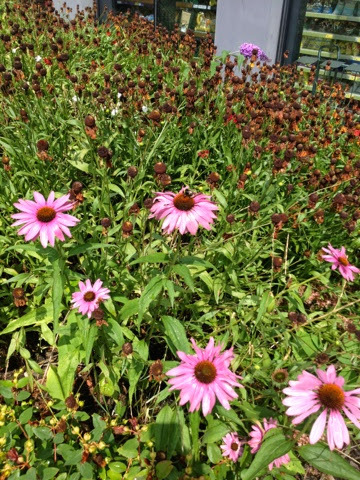 :: Seeing this bee (can you spot him? or her? I know nothing of bees. Do female bees get to leave the hive?) on some very random planting outside Tesco near the A&E dept of the Leeds General Infirmary. He looked very happy. I’ve seen a lot more bees this year. :: Spending my birthday money on some books. I had a gift voucher from some review work I did ages ago too. I’m loving the Smitten Kitchen...so many delicious things to make. ::Attempting some (more) inspiration for Autumn cooking. I’m hoping the couple of hours (don’t get me started on all my leave disappearing for the 2 weeks of 2 hour days BigR has starting school!!) I have when BigR is (briefly) at school and LittleR naps (hahahahahaha) I can get some tasty things going on. 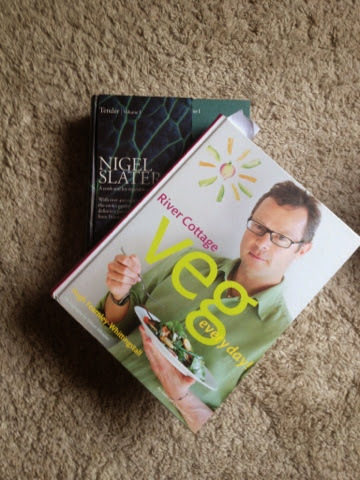 Nigel Slater is my go to for this kind of cooking and Hugh’s everyday veg is a great book. 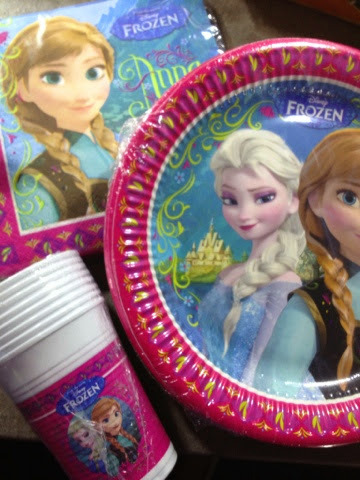 :: Planning for a 5th birthday party....it’s Elsa-tastic. :: Remembering that even after the most trying day (Is it only my child that moans and whines? Why do I let it get to me?) there is always gin. Ooh, gin! One of my favourite things... And well done on the crochet. It's a real ambition of mine to master it by the end of this year. Unlikely but you never know. 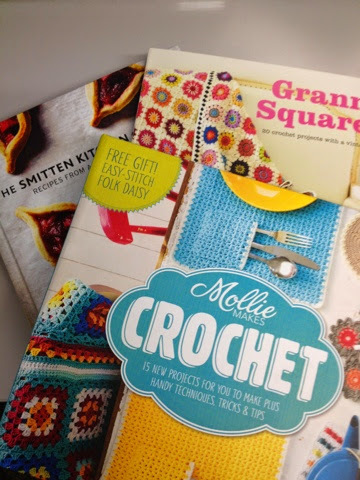 I have the Granny Squares book, lent by a relative - it's lovely. And you can't go wrong with Nigel. He can do no wrong in my book (or kitchen). Oh yes, my two whine, and I turn to gin. 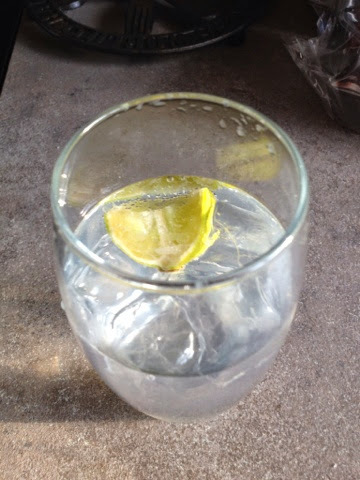 More often wine, but a good gin and tonic is one of life's great pleasures. Lots of simple happy pleasures here. Good luck with the Frozen party, and the start of school. And I hope you are all over the illness.